This modern hotel is conveniently located off Interstate 99 just two blocks away from Pennsylvania State University and within around 3 kilometres from the Beaver Stadium and the Bryce Jordan Centre Arena. Other area attractions within easy reach include the magnificent Bald Eagle State Park and the Pennsylvania Military Museum. There are also plenty of shopping malls, golf course and fine restaurants just a short drive way. The spacious, well-appointed guest rooms all feature cable television and free Wi-Fi as well as thoughtful details such as hair dryers, microwaves and refrigerators. Guests can start the day in style with the delicious complimentary continental breakfast and free coffee all day. Business travellers can take care of their basic needs at the hotel's business centre with access to copy and fax facilities, free local calls and fee onsite parking. 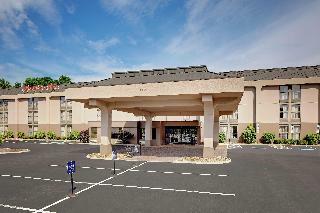 The Best Western Plus University Park Inn & Suites offers everything you are looking for when traveling to Happy Valley. 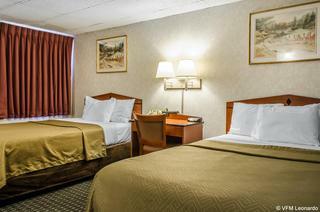 The Best Western Plus University Park Inn & Suites is conveniently located near three major highways including I-99, I-80 and US-322. We are the closest hotel to Bellefonte, only three miles from Penn State University and beautiful downtown State College. If you are here for one of the major events State College offers, we are only two exits away from Beaver Stadium, Bryce Jordan Center, Mt. Nittany Medical Center and the Pegula Ice Arena. During your stay here at one of the few Green Certified hotels in State College, you will feel welcomed by our friendly, caring staff. The Best Western Plus University Park Inn & Suites offers 79 beautifully appointed guest rooms, each featuring stylish decor, free Wi-Fi, cable TV, microwave and refrigerator. Also included is a complimentary hot breakfast with sausage, eggs, waffles, pastries and more! Guests at the Best Western Plus University Park Inn & Suites are also invited to take advantage of an array of upscale hotel amenities, from our business center, 24 hour fitness center or outdoor patio area to our indoor heated swimming pool and hot tub.